A young couple's dream of adopting a child goes horrifically awry in the first trailer for Lionsgate's Reclaim. Ryan Phillippe and Rachelle Lefevre star as Steven and Shannon, an American husband and wife who arrive in Puerto Rico to finalize the adoption of their daughter, a Haitian refugee named Rita. Things go horribly wrong after Nina suddenly disappears, just before they are about to head back home. Check out the first footage from director Alan White's thriller, co-starring John Cusack, Jacki Weaver and Luis Guzmán, before this thriller debuts in theaters and on VOD formats September 19. 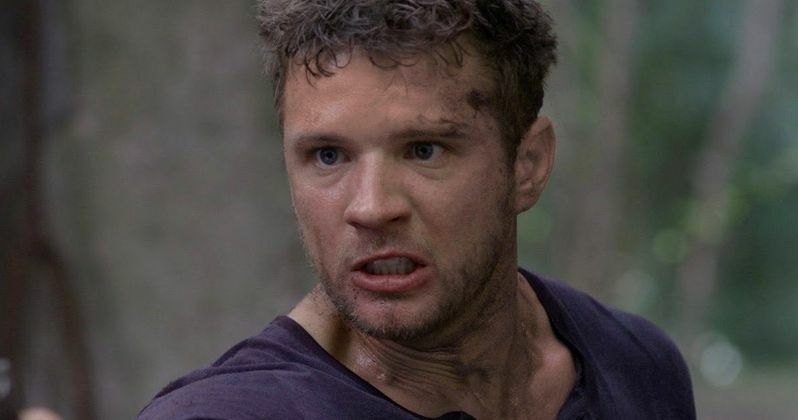 Reclaim is a story of shocking twists and turns that starts out with Steven (Ryan Phillippe) and Shannon (Rachelle Lefevre), a young, happy-go-lucky American couple, who travel to Puerto Rico to finalize the adoption of their new seven-year-old daughter, a Haitian orphan named Nina. Charmed by the picturesque island and eager to bond with their new daughter, Steven and Shannon take advantage of their time in Puerto Rico to explore the idyllic coast and see the sights as a family, confident they are just days from returning home to begin their new lives together. Events take an alarming turn, however, when Steven clashes with an intimidating local (John Cusack) and things go from strange to absolutely terrifying when Nina disappears from her bed one night. Despite frantic efforts to recover their daughter, the young couple hit roadblock after roadblock and become increasingly desperate once their trusted connection from the adoption agency (Jacki Weaver) also goes missing. Their only ally seems to be Commandante Diaz (Luis Guzmán). As the couple find themselves further entwined in a perplexing web of lies and confusion, their own relationship begins to unravel and things take an even more startling turn toward the unexpected.